The Daily Growler » Lobstoberfest Tonight featuring Cousin’s Maine Lobster Truck at 5:30pm + Oktoberfest Tap Takeover! Lobstoberfest Tonight featuring Cousin’s Maine Lobster Truck at 5:30pm + Oktoberfest Tap Takeover! Lagerstadt. The city of lagers. Oktoberfest. The oldest standing celebration in the world. Now, together in a can. 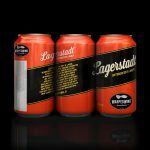 Introducing Lagerstadt Oktoberfest Lager. See a bright golden color with copper highlights. Taste subtle hints of honey, hazelnut and almond paired with light noble hops sourced from Germany. Get a slight malt sweetness that is lightly toasted and nutty. This cold-fermented beer ﬁnished with a clean, crisp lager taste. Bring the homeland home.